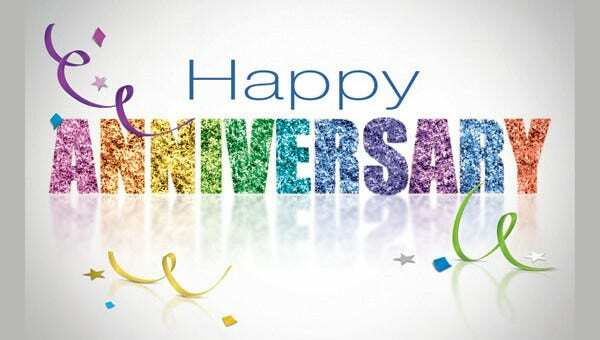 Congratulate someone for a year of dedication in the workplace or throw a surprise to married couples who continue to pursue their love in the good and bad times with our colorful and sophisticated anniversary card templates. 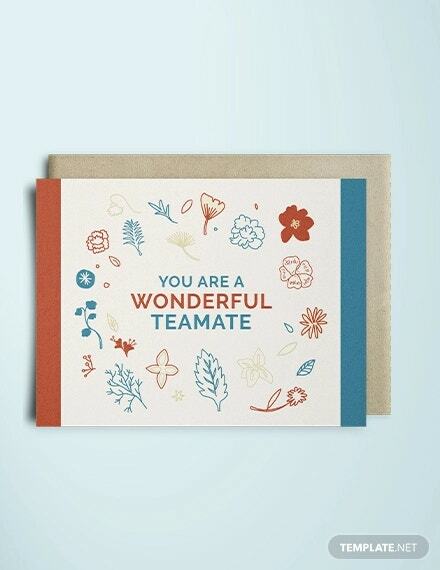 We also have templates fit for celebrating years of friendships and team efforts. 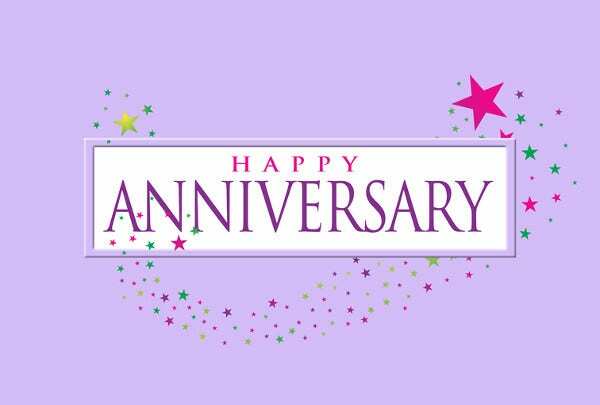 Let your recipients enjoy a personalized card just for their anniversary or plan out an anniversary party with honored guests by sending anniversary card invitations. In a world where most things are instant these days, long-term relationships are a rare treasure. It’s great to recognize and appreciate someone for a year of hard work, love, and achievement through card templates. Work Anniversary Card with Stars. This fantastic, lively template marks a top-performing employee or highlights a dedicated representative’s loyalty to selling one’s brand. Editable Work Anniversary Card. 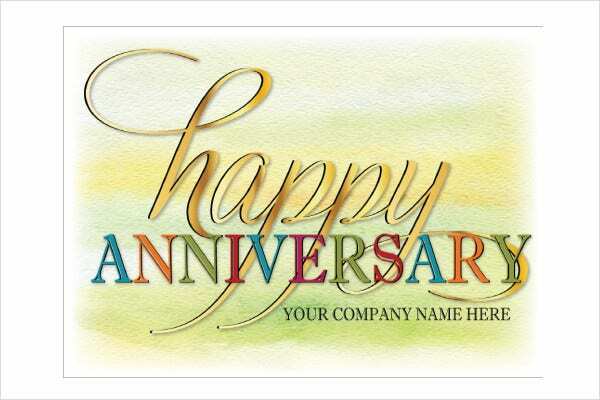 Want to add your custom design or logo on your anniversary card? Try this editable design. Work Anniversary Celebration Card. Add a cheerful touch to your plain greeting with this colorful star-studded anniversary card template. Happy Anniversary Card. If you are looking for a minimal design with a light background, then this card template is for you. Work Anniversary Rainbow Card. 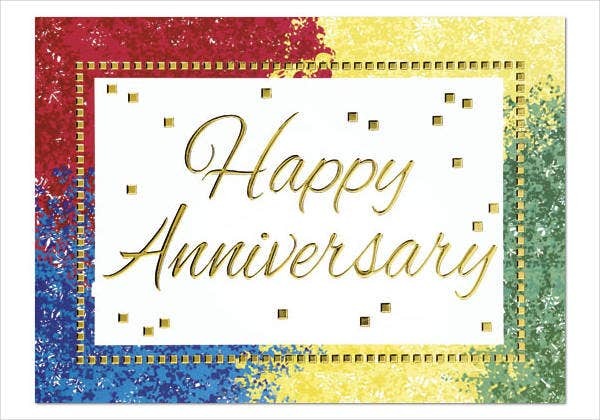 Add glitter and confetti to highlight your greeting with this fun rainbow anniversary card. 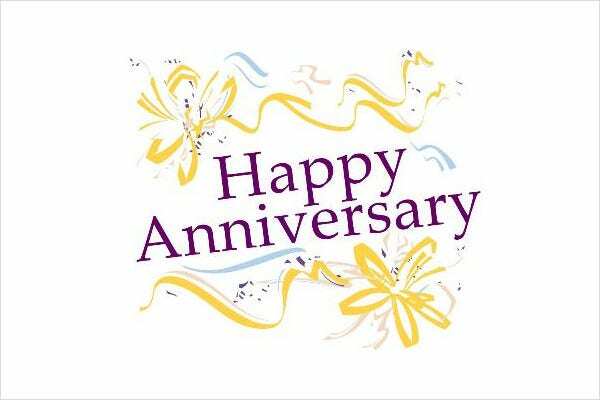 Business Anniversary Greeting Card. A fancy and clean look is a perfect for celebrating a company’s anniversary party. Simple Work Anniversary Card. Want a creative and classic design? 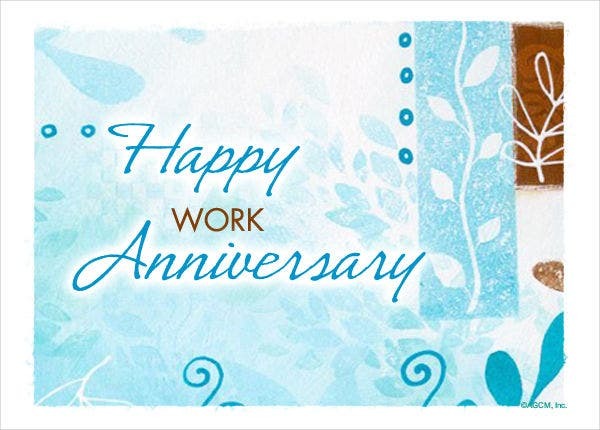 This work anniversary card template is fit for a simple occasion. Beautiful Work Anniversary Card. 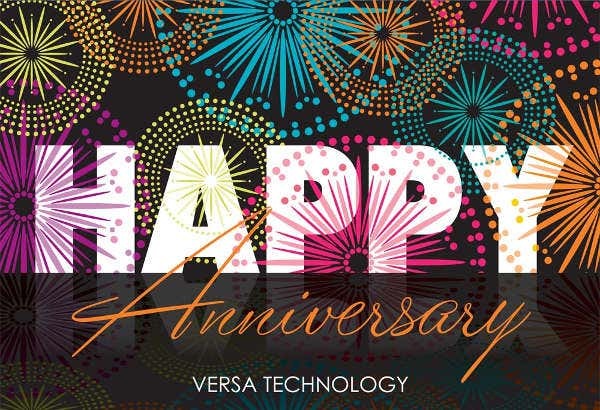 Bring beautiful sparks to your greeting card with this anniversary card crafted with fireworks design. Happy Work Anniversary ECard. An electronic card is a great way to send wedding anniversary invites without having to spend so much for printing. Especially for You . . . 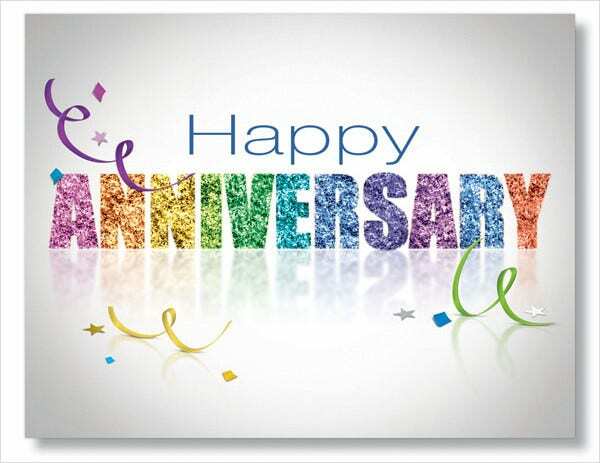 There are plenty of ways to greet your loved ones or friends through happy anniversary cards. It’s a matter of giving the right design and message to a specific person in mind. 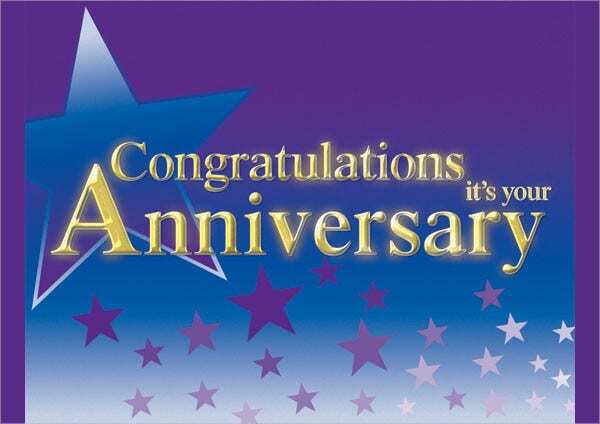 Giving a variety of anniversary cards to one person or groups of people? 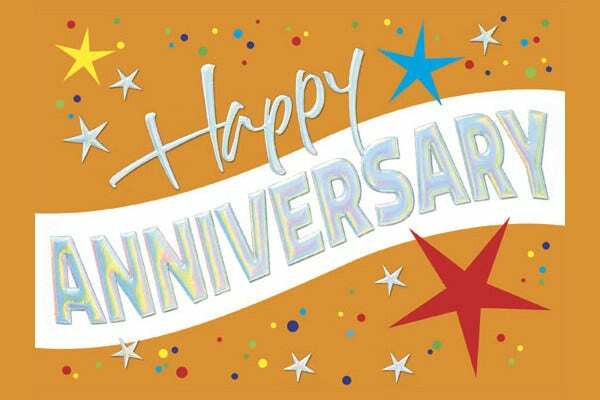 No worries, we have some anniversary card ideas that will give you more time to send out that special gift of appreciation. For Dad. Anniversary cards for dads could contain a message appreciating his years of providing the family or congratulating him for years of success in his work or business venture. The design include neck ties, basketballs, or any favorite sport or food of his. For Mom. Adore your mom’s years of commitment in her marriage or duties either as a house wife or working mom with an elegant floral anniversary card design. Add up words of encouragement to make her day. For your wife. Show your wife you care with a special anniversary card that’s embellished with a feminine designs such as hearts, flowers, or even a photo from your wedding. For your husband. 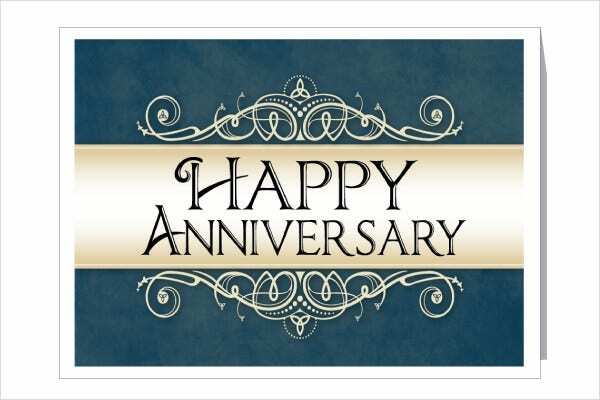 A minimalist card with a wonderful anniversary message thanking your husband will cheer him up after a day’s work. For couples. Surprise a couple with a thoughtful anniversary greeting with a lively design like confetti and stars. 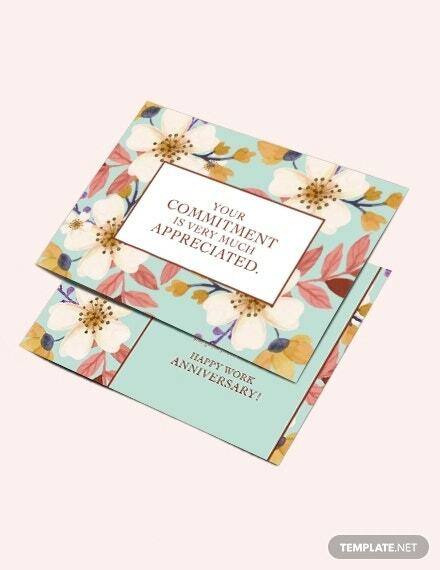 Our anniversary card templates are also perfect for greeting your bosses, mentors, or loved ones.